Do you desperately want to get started but don’t know how? I know that you’re passionate about health and nutrition – and you desperately want to share your knowledge and help people feel better. Not only that, you want to have a thriving health coaching business – one that supports you financially. But you’re having trouble getting clients and bringing in money. You feel stuck and aren’t sure the best way to get started. You don’t know what to offer and how to get the word out. If you’ve been health coaching for a while, you may be looking for a way to create more momentum in your business. A way to attract more clients while leveraging your time. Maybe you’ve noticed that you’re resisting “putting yourself out there” and marketing your business. You’re not even sure exactly why there’s resistance. You just wish it wasn’t there. You may be spending hours at your computer – posting on social media, fiddling with your website, and emailing your friends about what you’re doing, but there’s been little to no interest. Maybe you’ve even sent out a few newsletters to your small list…. but all you get is crickets. You desperately want to start working with more clients – so you can help them (and start making money), but you don’t know the best way to move forward. You see, I’ve been working with and observing my health coach clients for over a decade… trying to figure out what makes some coaches successful, while others are working hard but not seeing results for all their efforts. Marketing will always be an uphill battle if you don’t have confidence in your yourself and what you have to offer. But don’t worry, there’s a simple way to boost your confidence and get out of the “imposter complex”…. You know, that feeling that you don’t really know enough to help people? Offer a program that you’re passionate about & excited to deliver. Once you have a program to offer that you know will get your clients amazing results, you’ll feel much more comfortable marketing yourself and letting people know what you have to offer. And, it’s infinitely easier to get clients to say “yes” to working with you when you offer a proven program that’s enticing to your potential clients. This will not only bring in revenue, but boost your confidence. As you see people getting results as part of your program, think about how wonderful that will feel! Let’s say you decide to offer your first group cleanse program. You don’t yet have a list of subscribers, but by following some simple marketing strategies, you’re able to get the word out and enroll 12 people in your very first program. Your participants have an amazing experience. They love the program and get incredible results – weight loss, more energy, better sleep, improved digestion, clearer skin. And of course, they credit you for their results. 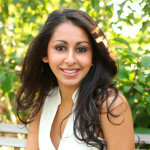 ​On top of that, you had the fulfilling experience of working with more clients and HELPING them feel better. After the cleanse, two of your participants love the program so much that they want MORE… so they sign up for private coaching with you. Other participants start telling their friends about you, and you start getting word of mouth referrals. One of your participants is such a fan that she asks if you would give a talk at a women’s group she belongs to. Things are starting to happen! You now finally have money coming in. And, you feel like a professional health coach and are excited to offer the cleanse again. 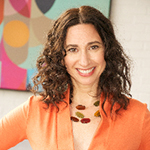 I used Amy’s program to launch a 14 day Jumpstart program. People who have never worked with me jumped on board and saw dramatic changes in their bodies, moods, and sleep patterns. In some cases it made my clients look at food in a whole new light. It was an awakening of sorts! One of my clients has gone on to lose upwards of 75 pounds, lost several dress sizes before her daughter’s wedding and bought a new bathing suit she was proud to wear in Hawaii. Half the group went on to other group coaching programs with me, and it resulted in some awesome testimonials. Thank you for creating and supporting such awesome products for health coaches. We are good at coaching, but not always good at putting it all down on paper and creating the right product for our clients. Think this sounds great, but not sure this will work for you? I get it. You’re afraid to talk to people about what you do. After all, what if they’re not interested? And maybe you’re afraid you don’t have the skills or knowledge as a health coach that you need to help people. You’ve been active on social media. You’ve emailed everyone you know about what you’re up to. Maybe you’ve even given talks or hosted a webinar. With all of this, you’ve had a few people interested in working with you, but they end up saying they can’t afford it. After all, you don’t have an online presence or a list of people to market to. Maybe you just graduated from nutrition school and haven’t started working with clients. Or you’ve never lead a group program before…. Truth time. None of this matters. What DOES matter is having a plan and taking action. With the right strategy and the right program, you too can be successful. I invested in this program because I wanted a professional looking, well thought out program that I could run online (or in a local group setting). It needed to be founded on my core nutritional beliefs and be customizable so I could add my branding and my finishing touches. I marketed the program by literally following the step-by-step instructions and all the done-for you marketing material Amy provided. 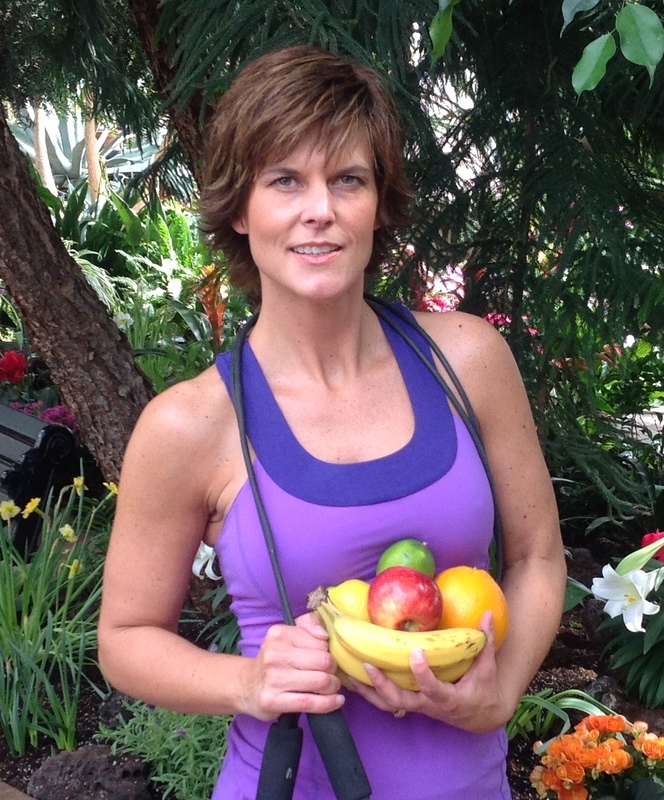 I just graduated from the Institute for Integrative Nutrition, so this is my first ever group program. I am ecstatic that I have 17 participants! I would never have been able to launch an online program and have this kind of success without all of the step-by-step guidance and done-for-you content. If you’re thinking about this program, don’t hesitate! 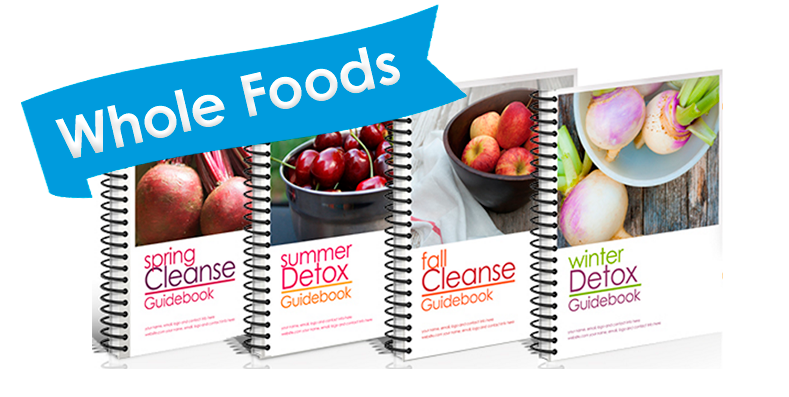 Know exactly how to market a cleanse program. We’ll show you what steps to take and give you the tools you need, so you can successfully enroll participants. Have everything you need to lead a cleanse program, so you feel confident to “put yourself out there” and market the program. Bring in money from your cleanse program, so you not only cover your expenses, but also start paying yourself! Develop a relationship with the participants in your cleanse program, and have raving fans… who want to continue working with you after the cleanse has ended. Feel like a professional health coach, because you’re working with clients and helping them experience REAL results. This will allow you to feel confident about offering other programs, raising your rates, and making connections with potential referral partners. Once you’ve run your first program, you’ll see yourself as the successful health coach you are. You’ll be fulfilled by your work, as you truly make an impact in people’s lives….and you’ll be happier and more confident in your own life. It all starts with getting yourself out there in a way that is proven, thoughtful, and strategic. No need to spend weeks researching and writing your own program! This ready-to-launch curriculum can used for a variety of nutritional approaches, including vegan, vegetarian, Paleo, and whole-foods based. You’ll be able to promote the program with ease. We’ve done all the heavy lifting for you with a done-for-you sales page, promotional emails, social media posts & graphics, and flyers. You can have confidence delivering this program, knowing that over 1,000 coaches have delivered this program with rave reviews. The professionally written and designed materials will make you feel and look like the pro that you are. When your participants experience this powerful program, it will set you up as an expert in your field, so you become known locally and beyond. Offering this program will allow you bring in more revenue, while leveraging your time so you can help more people. When you launch this program, you can sleep easy, knowing that you’re doing this the “right” way. We’re going to tell you exactly what to do, how to do it, and in what order. Save countless hours. Instead of spending weeks or months writing a program and all the marketing pieces, you can focus on other areas of your business. You’ll get out of technical overwhelm. We’ll show you how to set everything up yourself – so you can gain simple technical skills and increase your profits. Once people get a taste of what it’s like, they will want more. This program will give you a way to enroll more people into your other programs. At the end of the day, you’ll have confidence knowing that you were successful and have built momentum in your business. I’m so excited!! I’m up to 23 people now who’ve registered for my first detox, which starts on Monday! It’s been so fun to see people register who have been on my list for a year now, but haven’t ever been a client. I’ve also had a couple people register who had a discovery session with me but couldn’t afford my private coaching. I’m so glad I found this program, Amy! Thank you! This was my first time launching a cleanse program. I have to say, it is very exciting! The energy from the women on the Facebook group is electrifying; they are charged and motivated. I’m personally learning so much and I think this was the best investment that I have made in my business so far. Thank you Amy! Transformation is happening in my group, and I’ve gotten a lot of compliments on the program, which is fully due to Amy. She thought of everything from A to Z. This was one of the best investments in my business so far. Thank you Amy and team. You guys ROCK! This program ALSO helped me build my list and my Facebook page! And I have many, many people asking to be put on the list for the next Detox. It feels good to be in demand! What I found most helpful about this solution was the ease of how everything flowed. From the launch timeline, which was INCREDIBLY helpful, especially for a newbie like me :), to the promotional emails, the program emails, the sales page, the recipe book….absolutely EVERY piece of this program was quality, thorough, professional, visually appealing and easy to follow for me, and my clients. Purchasing this solution taught me how a sales funnel works, how the pieces of launching a program work and work together, it was beautiful, the recipes are EXCELLENT and my participants are raving about this program. They found it easy to follow and professional, which is the most important thing to me. 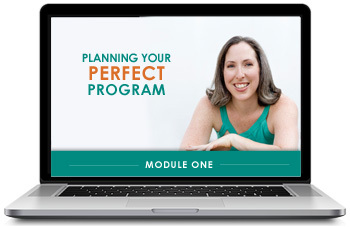 I highly recommend this program and working with Marketing for Health Coaches. This ready-to-launch curriculum can be customized for your nutritional approach, whether vegan, vegetarian, Paleo, or whole-foods based. Each season comes with seasonal recipes & meal plans, and seasonally branded material (seasonal photos and colors). You’ll also receive seasonally branded materials for each season. Each season comes with a Customizable Meal Plan With Over 30 Seasonal Recipes created by a whole foods chef (all recipes are gluten, dairy & sugar-free). Do the words “cleanse” or “detox” scare your audience? 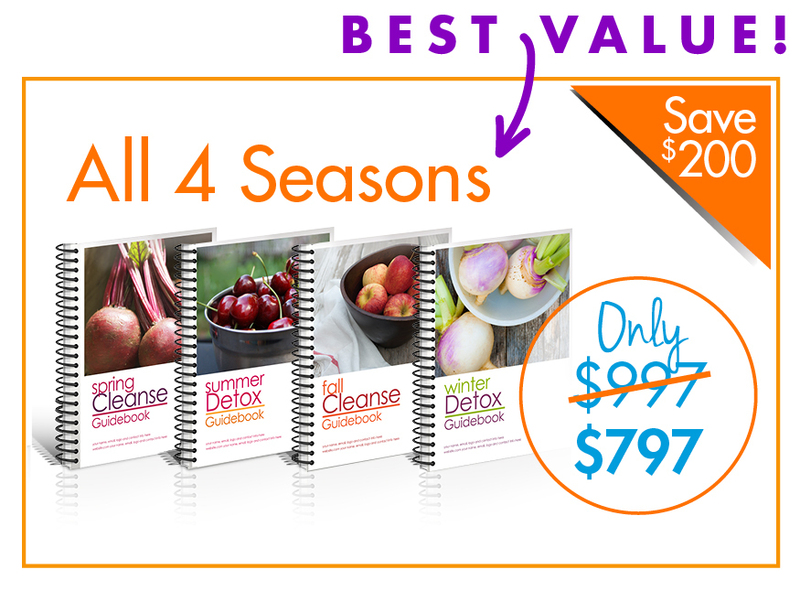 You’ll receive materials branded as a cleanse, detox, and jumpstart program. Simply choose the option that works best for you! Have another name you want to use? You can edit the materials with whatever name you choose. to help you look professional & market your program. & Meal Plan and photos (including photos of all the recipes). *Learn exactly how to set everything up with our short step-by-step video tutorials (and accompanying instructional Word documents). We know you’re busy and don’t have time to watch lengthy videos! Each video is between 3-10 minutes in length, for a total of less than 90 minutes of content. 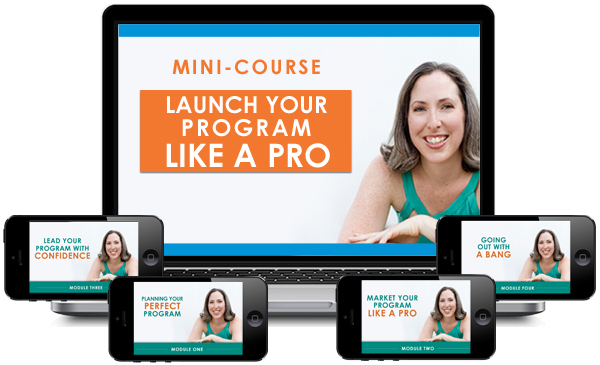 This mini-course is like the “Cliff’s Notes” for health coaches on how to launch. I’ve learned with you, so you can shorten your learning curve and get the result you want – a profitable (and fun) launch! I know you don’t have loads of time, so I’ve broken this down into digestible chunks. You can go through the whole course in 1- 3 days. You’ll receive short videos and transcripts, so you can consume this however you’d like. Feel free to go through each module, or jump to the areas you most want guidance on. How to determine the length of your program, so it’s enticing to your audience. When your program should start – so you have enough time to promote your program and avoid “problematic” start dates that may limit enrollment. The 6 marketing strategies that actually WORK. These are the strategies my clients have used effectively time and time again. 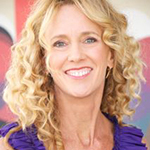 Plus, listen in as I interview health coaches share how they did it! 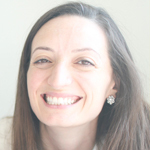 When to email your participants throughout the program to keep them engaged. How and when to relaunch this program again, so it continues to bring in revenue. Enter coupon code 200OFF at checkout. Coupon expires on Thurs, March 7th. Once your cleanse or detox is over, you have the opportunity to keep the money and clients coming in! 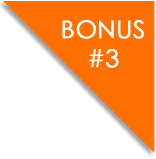 In these bonus sessions, provide value and invite them to continue working with you. 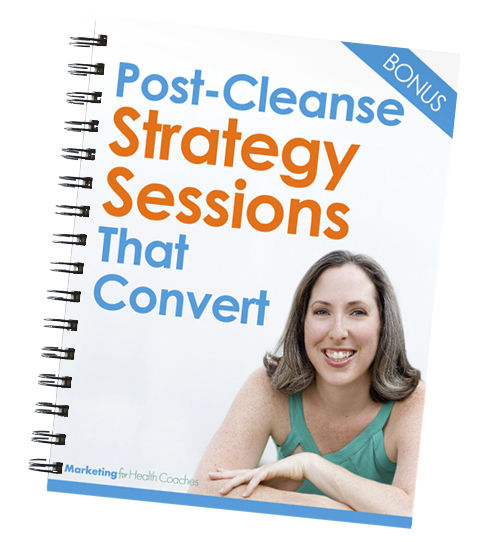 So many coaches get really stuck because they’re not sure how to lead these calls effectively, so as BONUS you’ll receive a full script for Post Cleanse Strategy Sessions That Convert. It includes specific questions to ask AND how to make the offer at the end – including how to create urgency with a time sensitive offer. If you want people to get excited and sign up for your cleanse, it’s important that you have a sales page that’s designed and written in a way that’s enticing. That’s why I’m including a beautiful sales page template that’s written and designed for you. And we show you exactly how to set-up your sales page without fancy technical skills. If you find it challenging to write compelling marketing copy that gets your audience to take action, and you don’t have the technical skills to design and build a sales page, you’re going to especially love this bonus! ​My team and I’ve created a social media promotion kit that will make it very easy for you to promote your program on social media! Sample Facebook Ad that’s been tested to perform well. Copy this or model it to create an ad to build your list & generate interest in your program. I know that having guidance and a sounding board is vital to your success. That’s why I’m including ongoing support. Ongoing support from me via a Private Facebook Group. Support starts as soon as you sign up. I’m on the Facebook group checking it daily Monday through Friday, personally answering your questions. 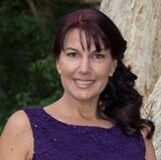 Quarterly “Closed Door” Group Coaching calls with me where you can ask me anything you want about leading or marketing your detox or cleanse. You’ll also receive a year of technical support, so if you get stuck at any point along the way, we’re right here. 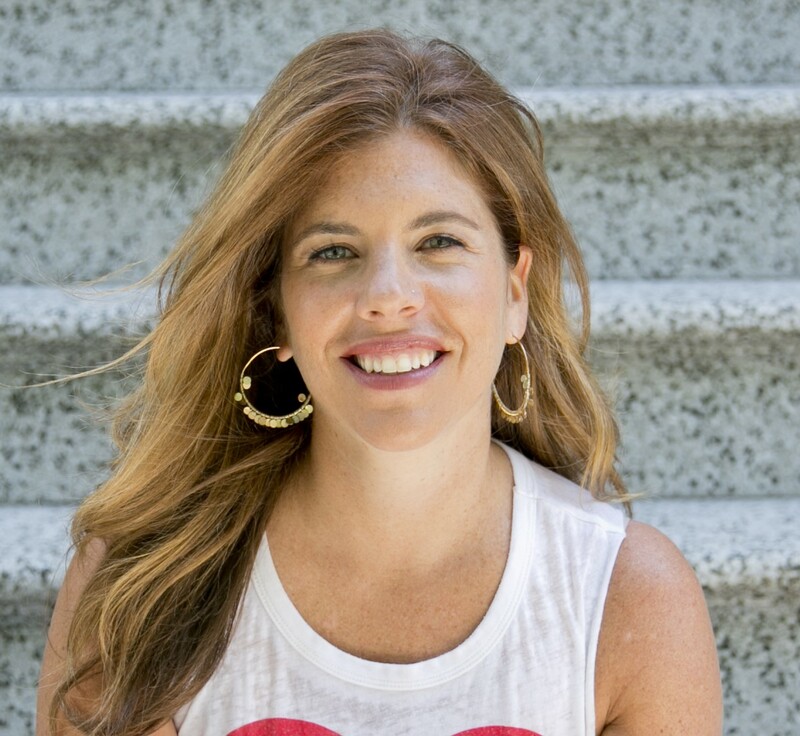 Before founding Marketing for Health Coaches, I too was a health coach. 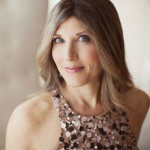 During my 5 years as a health coach, I became more and more drawn to the marketing side – and started soaking up all that I could learn about how to effectively get clients online and offline. 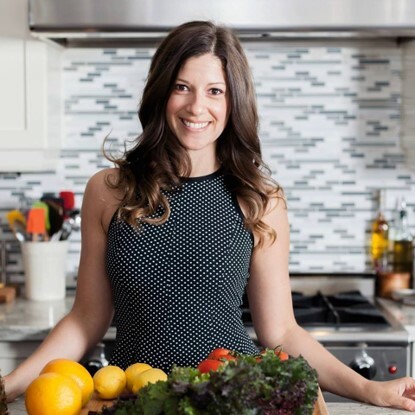 I then decided to merge my marketing roots with my passion for wellness by launching Marketing for Health Coaches, where I’ve helped thousands of health coaches and nutritionists successfully launch cleanses and detoxes that created momentum in their businesses. With over 11 years in this industry, I’ve had the powerful experience of seeing first hand what works and what doesn’t. 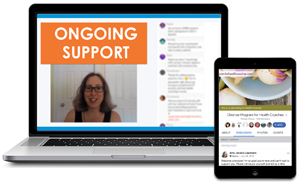 When I started Marketing for Health Coaches, I was working one-on-one with clients to help them launch online group programs – mostly cleanses and detoxes. However, I quickly realized how expensive it was for these coaches to launch their programs. For each launch, my team and I were custom designing banners and sales pages… writing and editing promotional copy… formatting program materials, and much more. Coaches were typically spending $1,000-$5,000 to launch their programs. This level of investment made sense for seasoned coaches with a following, because they were still able to make a healthy profit. But then I thought about the newer health coaches, or ones with a smaller following. If they spent thousands of dollars launching a program, they might end up LOSING money in the end. This did not sit well with me. I knew there had to be a better way for coaches to help more people by easily launching a program – while also making a profit. That’s when I decided to create this Ready-to-Launch solution. I know that launching a program can feel scary. But not when someone takes you by the hand and shows you exactly what to do. It doesn’t have to be complicated. I have a knack for taking things that seem complex and making them easy to understand. Personally, I like to keep things simple, and that’s what I’m going to show you. I care deeply your success, and the success of our all of clients. That’s why I put my heart into everything I create – leaving no stone unturned. This is the easiest, most supportive environment to launch a very complete group program. Once you have launched this program, you will know how to do it in the future. It is a good cleanse and the food and recipes are delicious. My clients loved it and had a great time participating in it together. Offering this program boosted my credibility and professionalism. The program materials are very professional looking and can still be edited easily to customize them. I had the convenience and support of a done-for-you program while having the ability to make it completely mine. I also really benefited from the Facebook forum of others working through the same process. 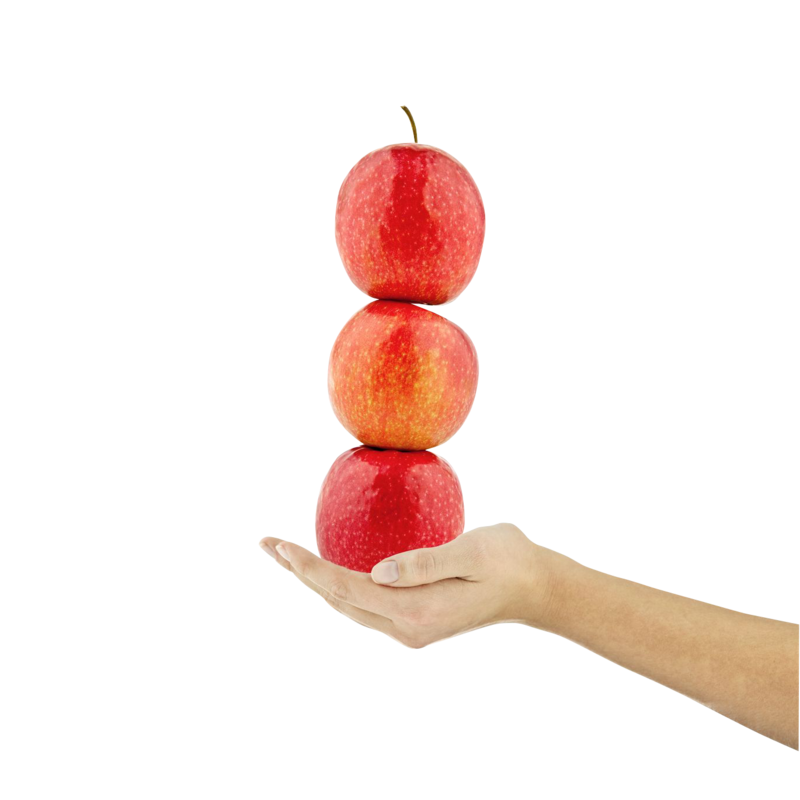 It doesn’t matter what your philosophy is, knowing what to include, from a marketing perspective, in a detox program is not something that we learn in nutrition school. 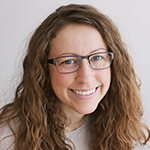 Amy makes everything easy by providing a launch calendar, e-mails with the right lingo and the right sequence all beautifully prepared. All you need to do is follow it step-by-step. This offering is like a mini encyclopedia on how to launch a successful program. I took these materials and customized them to create my own signature detox. The time from conception to launch was reduced by at least 60%. In my first year I offered this detox 6 times and enrolled more than 75 participants both in person and online. 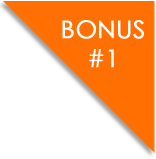 Each time I launch it, I tweak it to meet my client’s needs, add bonuses and raise the price. I am currently charging $997 for my signature 37 day online program, which I never would have been able to create without Amy’s program. When I saw all the materials and how flexible the program is, I was in awe. I couldn’t believe Amy hadn’t charged more. You will forever use these materials. 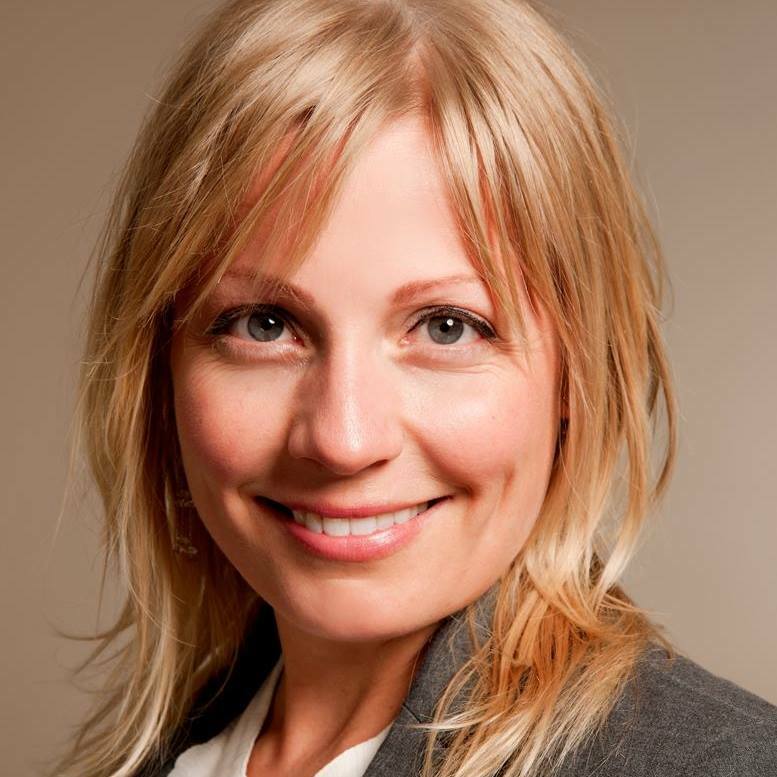 Amy and her team will take you by the hand step-by-step, so that something that seems daunting becomes possible. You don’t want to offer mediocre programs. Excellence is important to you. You want great results – for your clients and your business. You want to offer programs that are exceptional – that are high quality and big impact. In fact, it might be why you’re a bit shy on offering a program like a cleanse (especially if you have a small or nonexistent audience). You value excellence so much that you don’t want to fail your clients like they’ve been failed by diets or health fads in the past. Your clients love this about you. In fact, it could be the difference between them working with you or not. Like you, our health coach clients have high standards. They’ve shared with me that while they’ve looked (and sometimes even bought) other programs, our program is hands-down better quality than other programs out there. 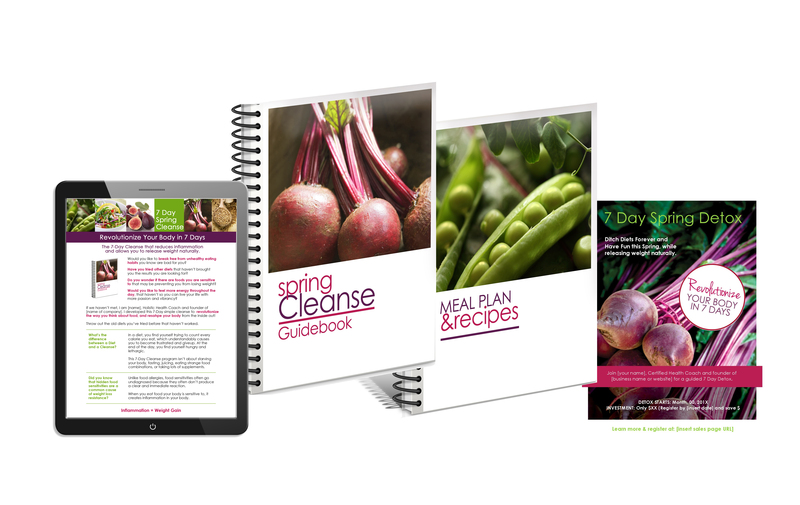 Our ready-to-launch Cleanse/Detox + Marketing Kit gives you everything you need to create and fill a transformational cleanse/detox program. There is nothing else out there that combines a customizable curriculum with a complete marketing plan to make your entire launch process smooth and FAST. If you’re looking for a program that gets your clients results (and sets you up as an expert in your field) look no further. Over 1,000 coaches have delivered this program with rave reviews. The program is “down to earth” and presented in a way that someone who isn’t a health nut will understand. The materials explain every piece of the cleanse – so participants can understand and are on board. And the 30+ recipes we provide for each season are top notch. 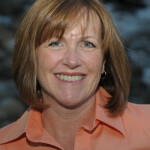 They get rave reviews from our health coach clients AND their participants. All the marketing materials and copy we provide has been tested and proven to motivate potential clients to sign up. And you don’t have to worry that the marketing is overly hypey or salesy. Everything is written with integrity. We’ve taken care of all the writing and design – so you can focus on spreading the word and leading your program. I go into detail on how to implement each strategy. I’m going to teach you what to do and how to do it. And with all the support you’re going to receive, you’ll never be left to fumble on your own. I hadn’t launched a program before, so it was all very helpful and useful. Everything was broken down very step-by-step so it was easy to understand and easy to implement. If I ever got stuck, Amy and her team were there to provide support. Amy and team, thank you so much for putting all of this together and for your support, I’m so very grateful! You might think you don’t know enough to lead a cleanse, but with everything we’re giving you we make it very easy to lead the program. A large percentage of our health coach clients are brand new coaches who weren’t sure if they were ready. But they were able to confidently lead the program, and get raving fans from it! By leading the program, you’re actually going to realize how much you know and how much you have to offer. Your confidence will skyrocket! The first time you do anything, it’s natural to be nervous, but that doesn’t mean you’re not ready for this! ​And remember, I’ll be there supporting you each step of the way. 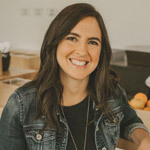 I hired Amy and her group when I was launching my first virtual detox and was completely overwhelmed with HOW I was going to make it successful. I had all the knowledge on the detox itself, but none of lacked expertise with the marketing or backend technical savvy to pull it off. 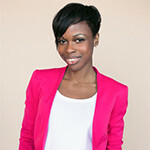 Working with Marketing for Health Coaches has been amazing. They are very responsive, helpful and go above and beyond when it comes to answering questions and making changes. 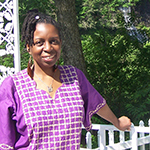 I had a very tight timeframe to get my detox launched and they guided me step by step. 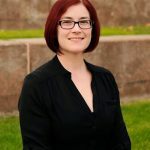 They provided me with a detailed checklist and instructions and tutorials of what I needed to do to set up my campaign so that it would work seamlessly behind the scenes. I have been extremely impressed and I have had several compliments on the look and feel of my website design and how professional it is. I signed on 30 clients for my first detox and plan to relaunch it again soon! I highly recommend Amy and her team. They saved me tons of time and headaches and were instrumental in the success of my virtual detox! What if no one signs up? It’s completely normal to feel a bit gun shy about putting yourself out there. Honestly, I think most coaches start out feeling this way. You got into this work to help people get healthier and feel better – not to become a marketing guru. This is exactly why I created this Ready-to-Launch Cleanse Program. I know marketing can be challenging. You might not be sure what to do and how to get the word out… or what to say to entice people to sign-up. That’s why the program comes with a complete Marketing Kit – with all the marketing pieces written and designed for you. I’ve included everything you could need – flyers, social media posts, sales page, and promotional emails. Not only that, but in the Mini Course that’s included in this program, I’ve dedicated an entire module to “marketing your program like a pro.” In this module I share the 6 marketing strategies that actually WORK – even if you don’t have a list of subscribers. These are the strategies our clients have used effectively time and time again. I’m going to teach you what to do and how to do it. And, I’ll be on the private Facebook group answering your questions and guiding you along the way. 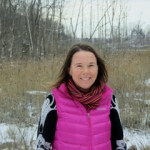 As a new health coach, I was looking for a low-cost program that I could sell to start building my client list and generating trust with clients. 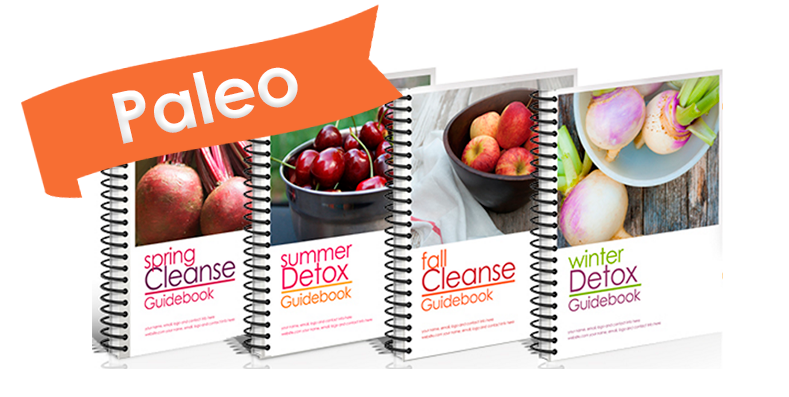 This ready-to-launch cleanse program is the most thorough I’ve bought. I’ve bought a couple of other jumpstart programs as well and they are not as good as good as this one. This program includes much more graphics and content than the other similar offerings. You could hire a business coach, invest in a website, purchase a one-on-one coaching program, or even buy a cleanse from someone else. I realize this sounds self-serving, but I honestly feel that our Ready-to-Launch Cleanse program is a smart decision. Once you have this program, you will have an EASY way to attract clients to take the first step towards working with you – and to generate revenue. And because the program is top-notch, your participants are going to experience results and become walking billboards for you and your program. Not only that, but you’ll be able to funnel participants into your other programs. This program gives you a proven way to create momentum in your business. It’s 6 months from now and you’re looking back at this moment. You realize that your business is in the same place it was. You’re still struggling to get clients in the door – and questioning whether you can make a living as a health coach. I know that’s not what you want. From my heart, I want you to think about what will happen if you decide not to sign-up. Will you continue to lack the confidence to put yourself out there? Will you struggle to bring clients in the door because you don’t have a program that’s an easy “yes”? Will you feel unfulfilled because you’re not helping people in the way you desperately want to? Will you continue to feel lost about how to market yourself effectively? As I’ve said, I take your success seriously. And it breaks my heart to think about you struggling in your business. I hope you’ll decide to take the easier path and invest in the solution. Just think, by enrolling as few as 4-8 participants, you’ll have more than covered your costs. And, you’ll be able to offer these programs over and over again to continue to build momentum in your business. 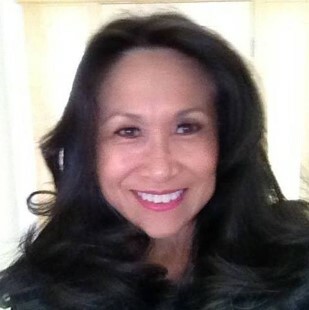 I purchased the Premier Cleanse/Detox Solution because I wanted to offer a detox to a group. I’ve lead detoxes to large groups before, but I wanted to try this out. I knew I only had to sell 9 detoxes to cover my expenses so it was a nobrainer for me. I absolutely LOVED everything about it! 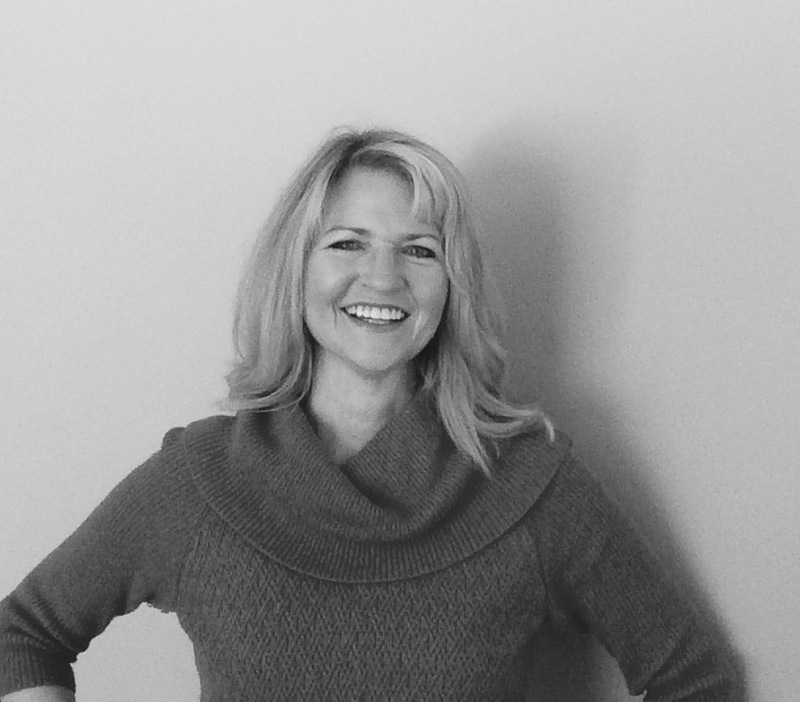 Amy’s team was able to quickly turn around and get my sales page and emails launched. I loved the organization of the emails and all the documents. My clients LOVED the recipes. I loved how user-friendly the detox was. The documents were so thorough and easy to use. I highly recommend the cleanse/detox solution. Amy’s team saved me hours and hours of work. I can’t even put an estimate on the hours it saved me. It was a matter of me leading a detox (with Amy’s material) or not leading one at all! Thank you Dear Amy and Team for all of your help! Seven couples total from my first 21-day fertility cleanse program are now pregnant! 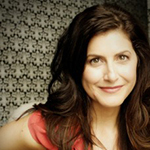 I’ve offered the fertility program again – as well as a general Winter Cleanse. 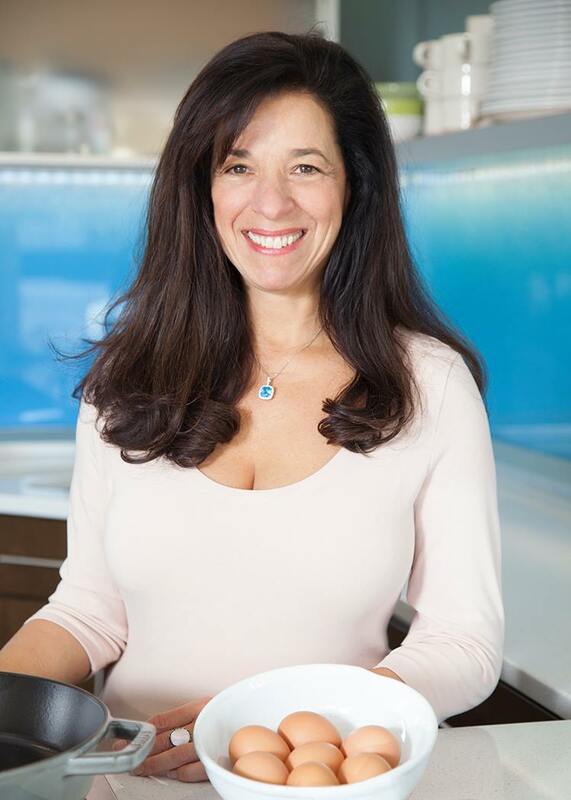 I’m excited to now have 2 products that I can offer that will add tremendous value to my patients or even new clients I haven’t even met in person…Thanks Amy Lippmann for a really valuable, versatile product and the opportunity to learn a whole bunch of new technologies! Even my hubby (a techie) is impressed with my “skills”. I’m super excited to have committed to doing this. I was totally spinning my wheels in trying to create my own program and I am super impressed by this offering – thank you. I’m still in awe at what I (we) have just pulled off. I went from being a bystander to a real live person who does group live calls. How awesome is that? Thank you Marketing for Health Coaches! I have 12 in the group this go around and almost 200 people on my email list, and I had NO EMAIL list 2 months ago. People are already asking when the next cleanse is. I’m ready to start on the Summer cleanse for 2015 and now I have business funds to pay for it. Nothing left undone. You receive the complete program, prewritten emails, call recordings and so much more. I love that I don’t have to write out a script for the calls with participants. This would have been a huge hurdle for me and it’s very helpful. The materials are very user friendly and beautifully designed. When you purchase this, you can feel confident that you are putting out a high quality program. The content is straightforward and easy to read. There’s no fluff – which is how I like to deliver content. The quality of the menu is top notch – making the experience positive for participants. I love that I can customize the materials, the length, and the name of the program. The materials are beautiful and very well laid out. Everything is very clear and the recipes work well for a mainstream audience and a food savvy audience. There is something in here for everyone. I loved being given a transcript and recordings of calls that I can lead during the program. It takes off so much pressure knowing that I don’t have to create this from scratch. I definitely recommend this to any health coach. The DIY Solution takes the guesswork out of creating a solid offering for your clients! This solution over-delivers with comprehensive tutorials, beautifully designed sales pages and templates and offers strategic advice for launching your products. Launch strategy and sales page development can run in the hundreds or even thousands of dollars so to have such a robust solution at a great value is awesome! 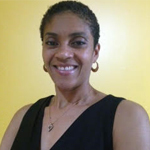 Prior to investing in this program, I had successfully offered juicing and raw food based detoxes in person. I signed up for this program because I wanted to offer something simpler that would attract a wider audience, virtually. I was drawn to this program because it made it easy for me to pull everything together, and the professionally designed sales page, promotional emails, other promotional materials and marketing strategies made it easy to draw people into the program. 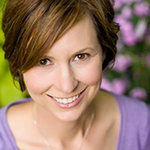 Amy was a health coach and knows and understands what it takes to offer a detox program. 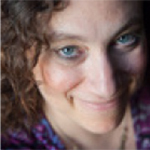 She’s put together a program that makes it easy for you to offer a program, with materials you can modify to fit your niche. My cleanse group has had such great results! One woman in my group has lost a total of 7 inches, blood glucose down to 99 (she could not remember when it was less than 100), acne disappeared, hand her digestion is perfect – no more bloating after meals. I did the 14 day cleanse along with the group and I feel amazing! The DIY cleanse/detox is an amazing value for the health coach that wants to offer a cleanse or detox but just doesn’t have the time to create one from scratch or have the technical skills to do it all themselves. I for one am not the most technologically savvy person. The instructional videos were extremely user friendly and thorough. I was able to create a sales page in a quick amount of time without having to spend hours designing it and learning all the technical skills myself. It probably took me at most an hour. You won’t have to hire out and you will be able to get all of the tools to create, market and sell your product by following the videos and guides. Because this is a program that a health coach can make a profit off of, the cost of the program is an incredible bargain. It’s highly customizable, so you can still make it your own. You will most definitely make a profit on this program as everyone out there is looking for ways to improve and clean up their diets. I highly recommend the DIY cleanse/detox to any health coach looking to offer quality information to their clients and also increase their income. I’ve offered this program twice – with 10 people in my first program and 25 in my second program. I was ecstatic with the numbers, and the additional business it brought in from private clients. The program and marketing materials are beautiful, well-written, and professional. It’s all simply top notch! The work that Amy and her team have put into this offering is phenomenal, plus the support they provided is incredibly valuable. 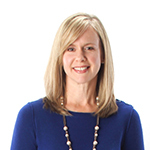 Amy and her team were always quick to respond to questions and really cared about my success. If offering an online program is something you’re interested in, this is a fantastic investment. More options for you – and your clients. With this offering, we’re handing you a program you can run each season. You’ll receive the same program curriculum for each season. Plus, each season comes with seasonal recipes & meal plans, and seasonally branded material (seasonal photos and colors). This means you’ll have an easy way to bring in revenue each season – and an easy way to funnel people into your other programs. Many of the coaches we work with have great success offering a cleanse or detox each season – often with repeat customers. You’ll have the support of me and my team as you launch each program. And you’ll have lifetime access to all of the materials so you ​can offer the program whenever you’d like. Pay once, use over and over. The wonderful thing about this solution is that you will only pay for it once, but you can use all of the components each time you offer a detox or cleanse. The second, third, and fourth time you launch this program, you’ll have little to no cost. I was ready to offer an online program, but I didn’t want to start from scratch. 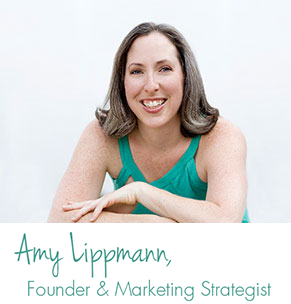 Amy’s ready-to-launch program helped me quickly get into the groove and offer a program. Using this program was a great experience. I was able to easily modify the materials, though they honestly didn’t need much tweaking. My clients loved the program and the results they experienced – weight loss, increased energy, and feeling great overall. You can’t go wrong with this program. It’s easy to follow, and as a coach, it’s easy to bring to life! Start selling your detox or cleanse in 3 weeks. 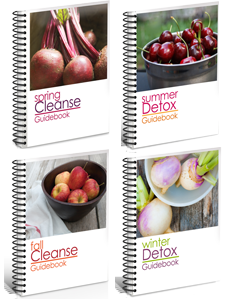 These solutions are designed to save you time and money, so you can start selling your detox or cleanse in 3 weeks. If you were to write your own cleanse or detox program, sales page copy and promotional emails, that would likely take you at least 2-3 months of work. That means many weeks or months before you’d be ready to start promoting your detox or cleanse, and bring in revenue. We have held nothing back in creating this offering for you. We want you to be blown away, and we’re giving you everything you need to pull off a successful launch. When you purchase this solution, you have 72 hours to check out all the pieces that are instantly available to you on our member page. 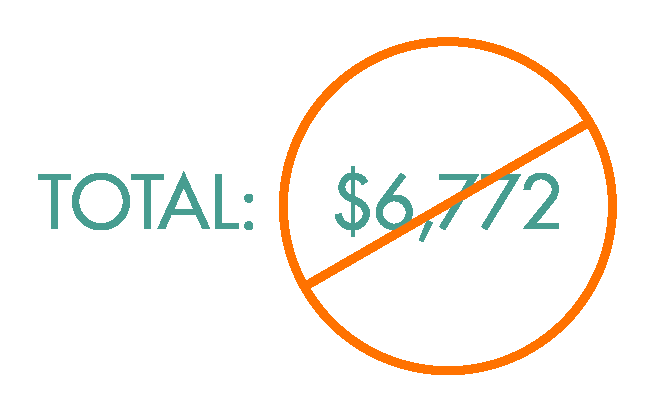 If within 72 hours of making your purchase you find it’s not a good fit, email us at support@marketingforhealthcoaches.com explaining why you weren’t completely satisfied by the program and we will refund your purchase. The words 'cleanse' and 'detox' scare my audience? Can I change the name? Is this for an online program or in-person group? Most coaches choose to offer this as an online program out of convenience – even if their participants are in their local area. But we have had several coaches offer this as an in-person group with great results, so it’s up to you and which option you prefer. What is the difference between the materials for the various seasons? ​​The program curriculum for each season is the same. The materials are seasonally branded with seasonal colors and images. Additionally, each season comes with over 30 seasonal recipes. For each season, you’ll have access to 3 customized meal plan and recipe documents – Whole Foods Based, Vegan and Paleo versions. Do you offer a Paleo version? Yes, for each season you purchase, you’ll receive a 7-Day Paleo version that focuses on high quality animal protein, healthy fats, and loads of vegetables. Grains, beans, and legumes are removed. Do you offer a Vegan version? Yes, for each season you purchase, you’ll receive a 7-Day Vegan version that includes grains, beans, healthy fats, loads of vegetables. Can I make this program fit my ____ nutritional philosophy? This ready-to-launch curriculum can be used for your nutritional approach including vegan, vegetarian, Paleo, or whole-foods based. This version includes grains, beans, healthy fats, loads of vegetables, and a small amount of animal protein. This version is focused on high quality animal protein, healthy fats, and loads of vegetables. Grains, beans, and legumes are removed. This version includes grains, beans, healthy fats, loads of vegetables. All recipes are free of gluten, dairy, sugar, corn, soy, peanut, and nightshades. You can adapt the recipes simply by adding or removing ingredients. Can health coaches legally offer meal plans as part of cleanses and detoxes? Yes! 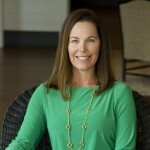 As attorney and Legal Coach, Lisa Fraley explains, health coaches are legally allowed to offer meal plans in a group program like this. The problem arises when you provide meal plans to 1:1 coaching clients, because that is considered custom designing a prescribed diet for someone. What do coaches typically charge for their cleanse or detox? Most coaches start out by charging $97 for early bird pricing, and a regular price of $147. You can certainly go up from there, and adjust based on the length of your program, the stage of your business, and the types of clients you’re targeting. What do I need to do to relaunch my program for another season? 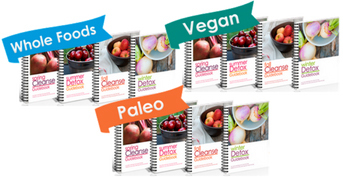 You will have all the materials you need to relaunch your cleanse whenever you would like. Our video tutorials will walk you step-by-step through exactly what to do. I am not located in the U.S. Can the recipes and materials be adapted for my needs? We’ve had many coaches all around the word use this program with success. 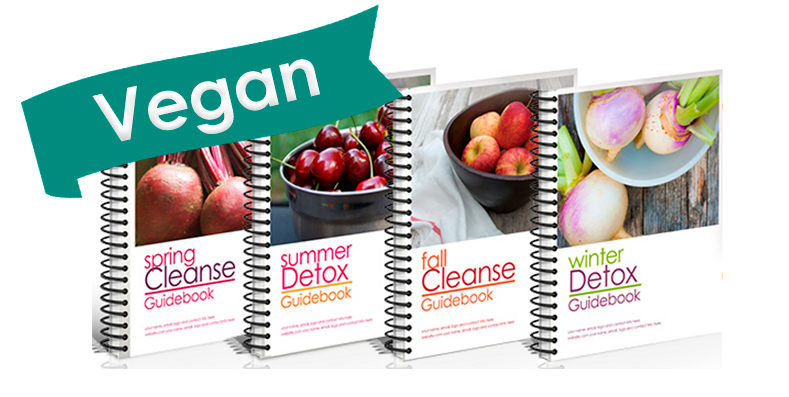 All of the cleanse program materials are provided as Word documents, so you can customize them however you need. If you find that recipe ingredients are not available locally, you can remove or replace them as needed. If you need ideas of how to replace ingredients that are difficult to find in your area, I’m available on the Facebook group to help! You can also add your own recipes if you choose. Please note that the recipe books include measurements in Imperial units. Since the materials are Word documents, you can update them as needed to say “Autumn” instead of “Spring”. 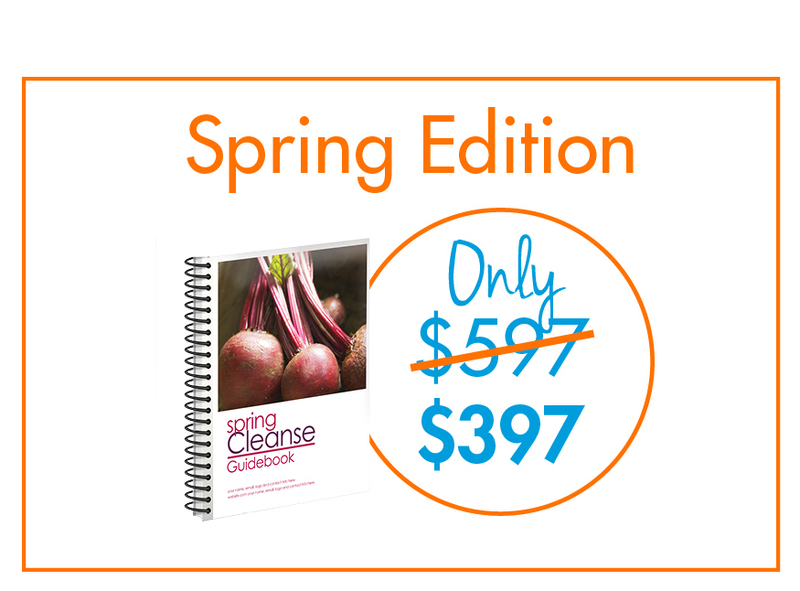 AND – on your member page for the “Spring” program you will find a folder that contains banners and 3D recipe covers that say “Autumn” instead of “Spring”. I’m in Australia - can I purchase the Autumn season now instead of Spring? Absolutely! Shoot us an email at support@marketingforhealthcoaches.com letting us know you’d like access to Autumn instead of Spring and we’ll be happy to help you. If I choose the 6-Pay Option for the Bundle of 4 Seasons, when will I get access to everything? You will receive immediate access to all 4 seasons when you purchase the bundle, regardless of if you choose the full pay or 6-pay option. If I purchase only the Spring program now, can I purchase the other 3 seasons at a later time? If you choose to only purchase the Spring Edition, you’ll receive a one-time special pricing offer on the remaining three seasons. This offer will be good for one week. You will be able to purchase the additional three seasons for $597. 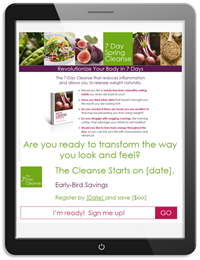 Immediately after signing up, you’ll get access to a private page where you will access all of the cleanse/detox materials, your launch timeline, copy for your promotional emails, and template for your welcome email, bonus audio and videos. You’ll also receive immediate access to the Private Facebook group, so I can support you as you launch your programs. Rest assured, we make it very simple for you. I want to make sure you have all the information you need to determine if these solutions are right for you. If you have any questions, please email us at support@marketingforhealthcoaches.com. We know you’re busy and you don’t have time to watch lengthy videos. Each video is between 3-10 minutes in length. All combined, the instructional videos are less than 90 minutes of content.